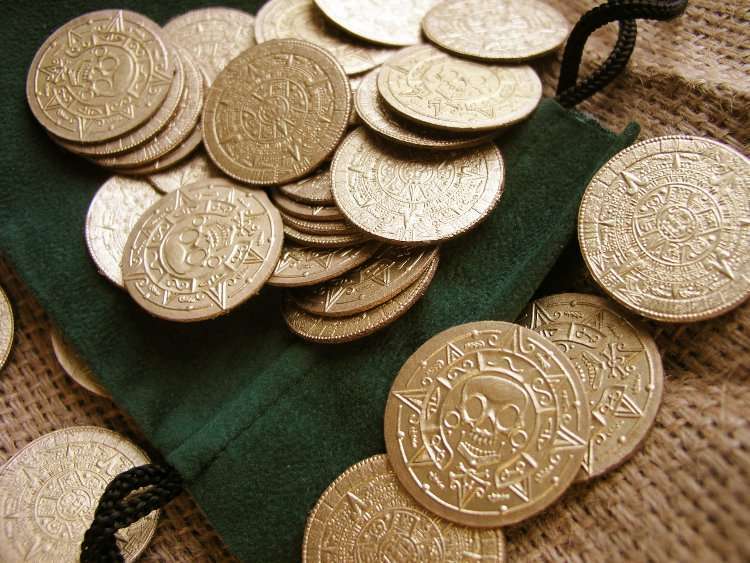 Gold treasure for kids - embossed Aztec calendar and the skull, in the style of Pirates of the Caribbean. For imaginative play of children. 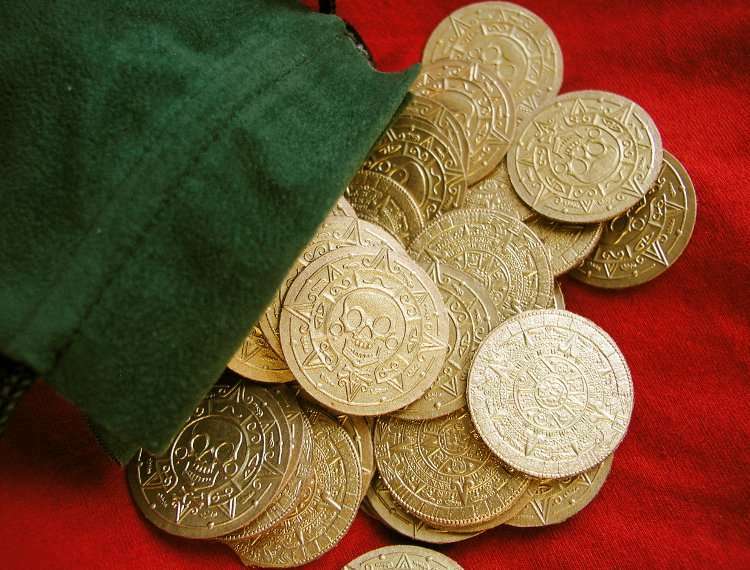 The coins are made of durable, heavy cardboard with gold patina. 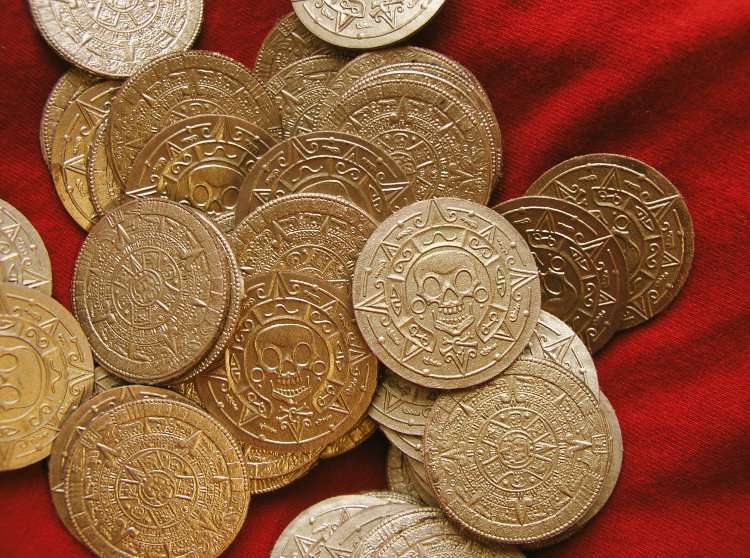 They look like metal. Diameter of 30 mm.